Heck, you’re as patriotic as the next guy, but that doesn’t mean you’ve got to sport a star-spangled outfit with USA emblazoned across the chest this weekend, or worse, dress like this. There are much subtler and more stylish ways to show your American pride this Fourth of July. Flag & Anthem makes good-looking, vintage-inspired clothes that offer lived-in comfort with a slightly preppy feel. Their clothes, from shirts and graphic tees to chinos and shorts, are affordable but don’t skimp on quality, and include some nicely thought-out details. 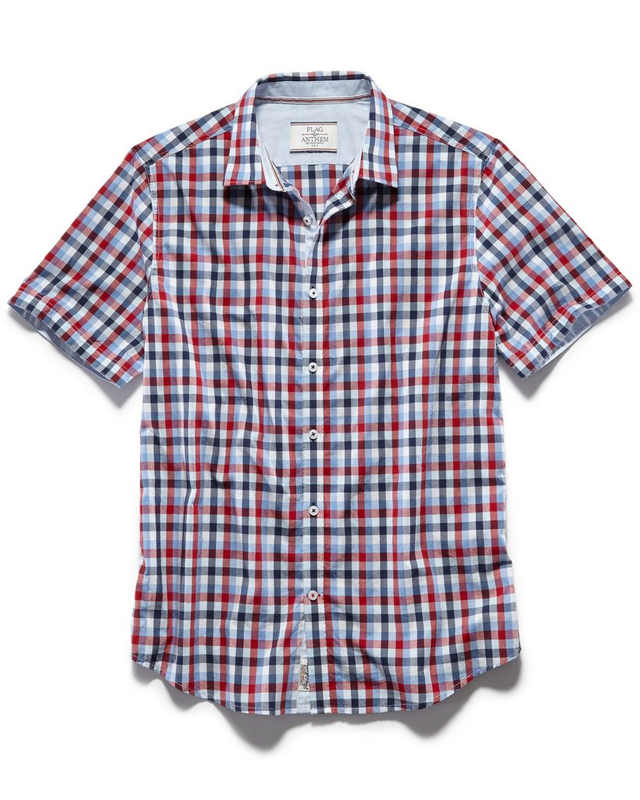 The Winston Shirt in a red-and-blue plaid (pick it up for $50 at Spring) is a standout. This 100 percent cotton short-sleeved button-up is nicely tailored with an athletic fit and includes contrast fabric at the collar, cuffs, and button placket. British flair with American style, these colorful, garment-dyed chinos ($99 direct from Hawes & Curtis) are 3 percent elastane to provide a bit of stretch. We’re particularly fond of the dapper overlapping button fastener. They’re cut super-slim, though, so if you prefer to roll your cuffs or just need a bit more room, you should probably size up. 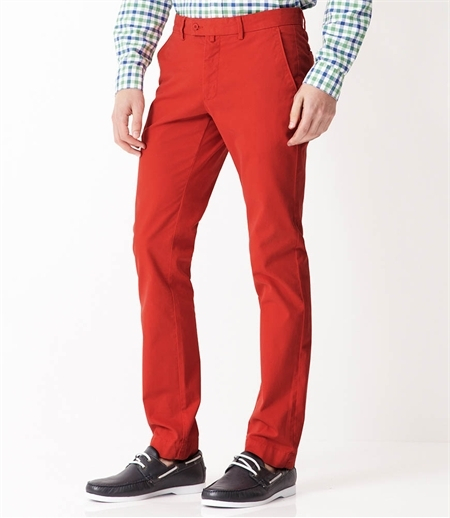 And if the uber-popular red chino look is too much for you, they also come in a cool Royal Blue. This San Francisco company made its name with a focus on men’s short-shorts, and with a 5.5-inch inseam, their Sankaty shorts ($60 at Spring) are indeed on the short side. But there’s no need to resist this latest summer trend. Show a little leg and celebrate America in this cool and comfortable, laid back cotton seersucker short. It features red, white, and blue horizontal stripes and is named after a lighthouse on Nantucket. Now that’s pretty darn American. Who knew this New York City–based company made great swim shorts? We did. 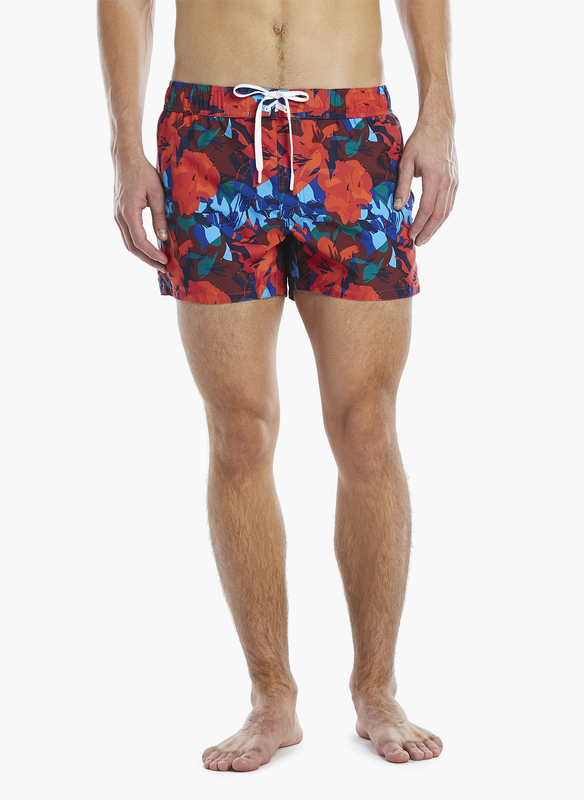 We love their Abstract Ibiza Swim Short in Floral Poppy (get it now at Macy’s, $75). It hits around mid-thigh, fits the body nicely without being constricting, and features a bright floral pattern. There’s a mesh interior, side pockets, and a back pocket with a velcro enclosure. And it’s fast-drying too. 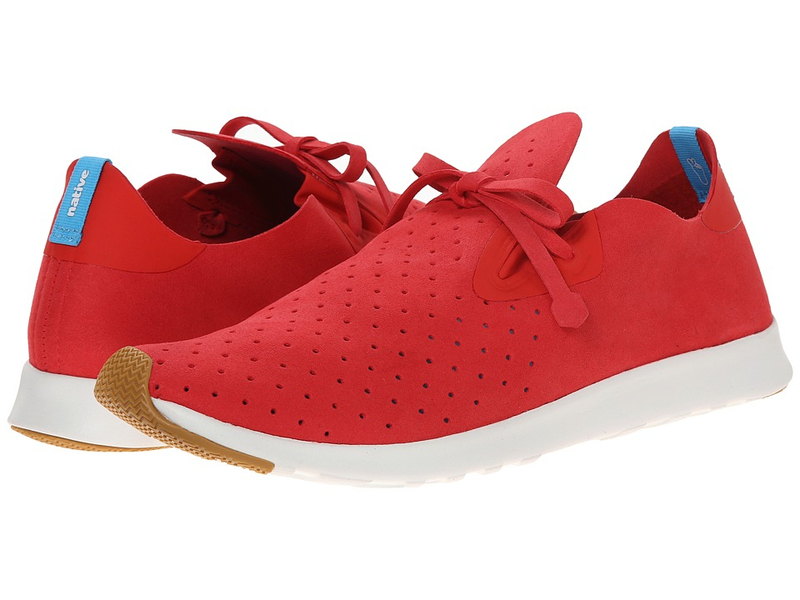 The Canadian company Native Shoes says it’s all about making footwear that will be “future classics,” and they definitely got it right with their Apollo Moc ($46 at 6pm). Made from man-made perforated microfiber and EVA, a dense foam, they’re super lightweight, comfortable, and breathable, which means they’re perfect for summer. They come in a ton of colors, but we recommend you get yours in red and rock ‘em on the Fourth. 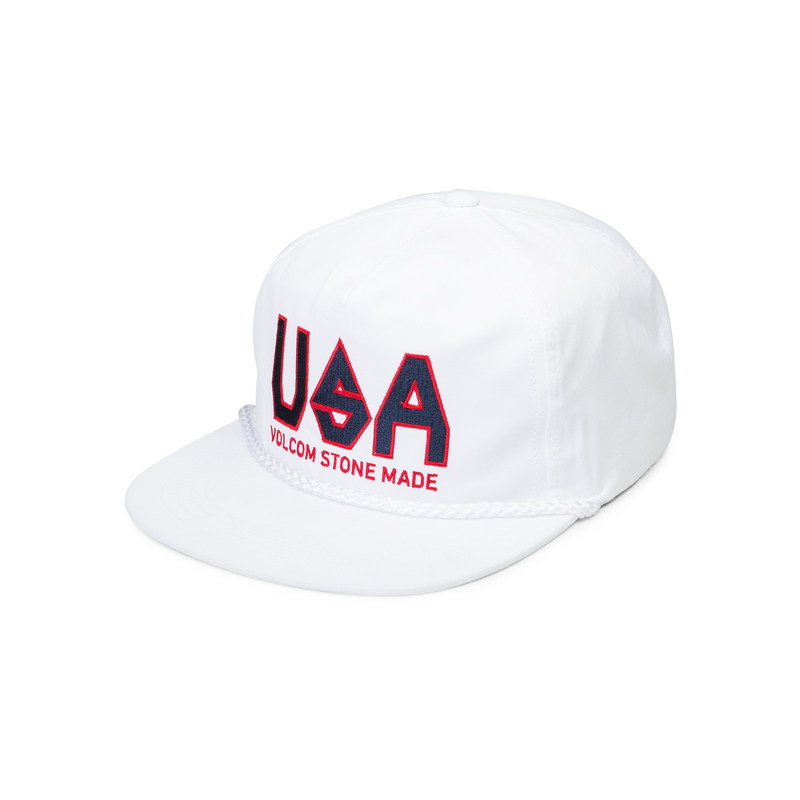 Finally, if you want to top off your Fourth of July steez with a bit of skater fashion, look no further than this fun snap-back cap from Volcom (below, $28). It’s also available in a slightly more subtle navy blue.